Gaode Equipment Co., Ltd. is a China of prestressing PC suppliers in China.We can supply chain of PC 12.7 mm and 12.7 mm PC chain. Its features are: high yield strength, ultimate strength, low relaxation, the stability of the elastic modulus, and the concrete stress disappear, high consistency. 4) Standards: ASTM A416/A416M-98, BS5896, JIS3536, GB/T 5223-2002, ISO9001-2000. Prestressed concrete chain used in prestressed concrete construction, city overpass, shell safe nuclear power plant, rock anchor, water conservancy and hydropower projects. 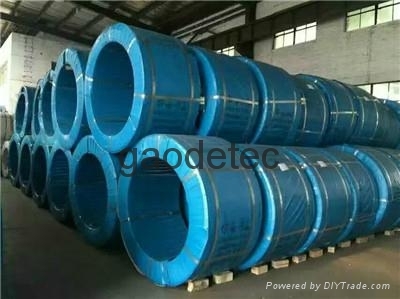 The following batch of prestressed chain of PC will be delivered to Australia this week.If you are interested in our PC 12.7 mm or 12.7 mm PC chain, welcome to our inquiry, here is our official email: info@gaodetec.com.